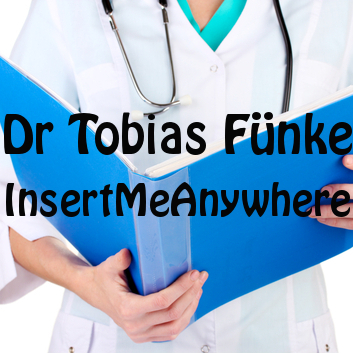 Leading up to the release of season four of Arrested Development on Netflix, Tobias Funke has launched his website, InsertMeAnywhere.biz. Yes, it’s real and glorious. You’ll find yourself reading Tobias’s “About Me” in his voice and hearing “I blue myself” as you surf the few pages. Tobias Funke and Arrested Development have launched a hilarious website for their character’s acting skills, InsertMeAnywhere. Look out for ManGo! Juice! And can we just appreciate the genius that is this opening paragraph? Also on the site, you get ads for “ManGo!” juice. “It’s like having a mango in your mouth.” Which I only just got as I typed that sentence. Clicking on the ad takes you to a really awkward picture of Tobias Funke and the official “ManGo!” website. Keep exploring and tell us what you find on InsertMeAnywhere.biz!